10.02 ACRE PARCEL. 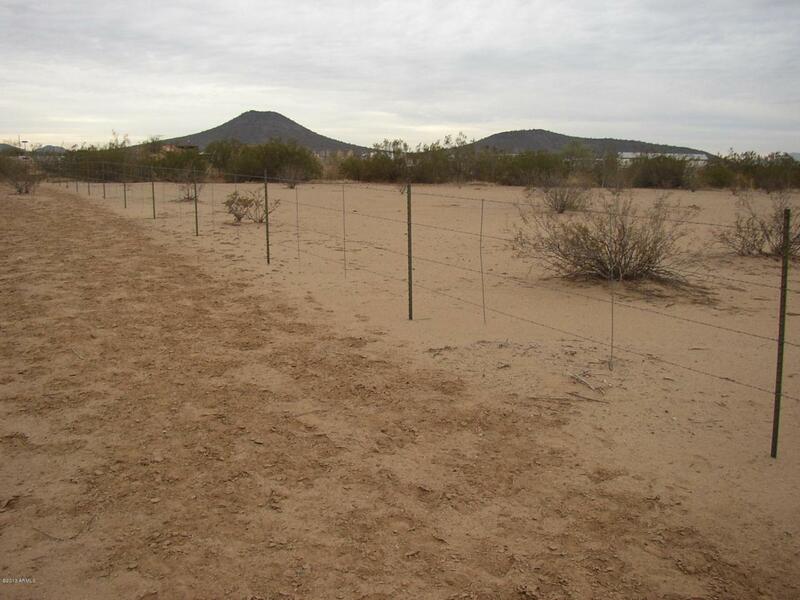 WELCOME TO THE WIDE OPEN SPACES, PROPERTY CAN BE SPLIT INTO 2-5 ACRE PARCELS. PARCEL ''B'' BOOK 770 OF MAPS, PAGE 22 MARICOPA COUNTY RECORDS. HORSES PROPERTY, HERE'S A LOT OF ROPING ONE IN THIS AREA. MOST UTITILIES AVAILABLE AT THE ROAD. ACRES OF LAND TO RIDE YOUR HORSES OR OTHER TOYS. YOU CAN BUILD A SITE BUILT HOME OF HAVE AN DOUBLEWIDE MANUFACTURE HOME. CHECK WITH MARICOPA COUNTY ON ALL SERVICES. USE IT ALL OR SELL OFF SOME OF IT.